God's promises stand through the ages. He has fulfilled them in many different ways. He has punished evil nations, he has redeemed Israel according to his promises, and he has sent Jesus as Savior and redeemer. But most importantly of all, Jesus stands at the edge of history waiting to return and bring full redemption for God's people and salvation for those everywhere who long for his return. 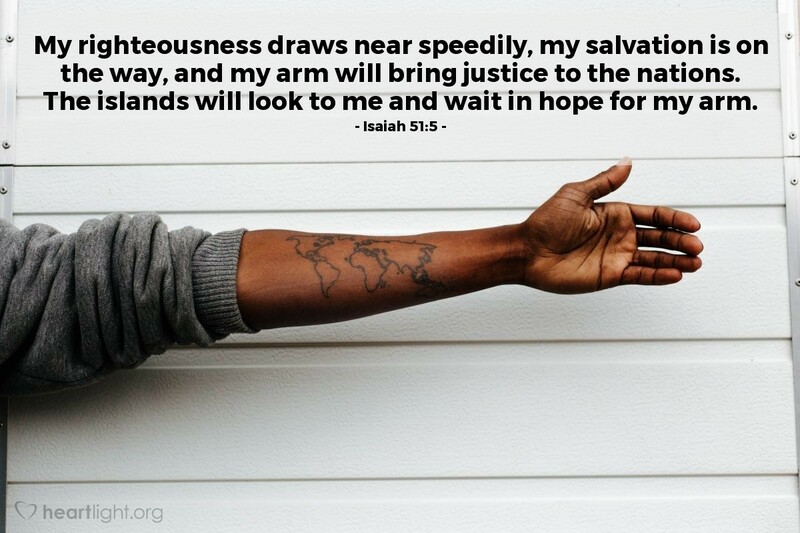 Sovereign Lord, I see so much injustice in the world and I long for truth, righteousness, and justice to triumph. While I long for the return of Jesus, my heart also breaks for the many that do not know Jesus and for those who are in rebellion to your will. I don't know what to ask other than that your will be done on earth as it is in heaven and may the triumph of your will begin with me. In Jesus' name I pray. Amen.